Gold medallist in Beijing, again in London and most recently in Rio de Janeiro, China’s Feng Panfeng holds one of the most celebrated records in the Paralympic Games, not just in table tennis but in the whole sporting gambit; his name appears proudly amongst the very best. On Thursday 19th October at the 2017 Thailand Para Open in Suphan Buri, yet another gold medal was added to his already extensive array of honours. He won the Men’s Singles Class 3 title accounting for Zhai Xiang, the no.3 seed (11-6, 11-4, 11-7) in an all-Chinese final. Furthermore, Zhai Xiang was a player in form, at the semi-final stage he had beaten Jordan’s Osama Abu Jame (11-3, 11-6, 11-9), the surprise quarter-final winner in opposition to Zhao Ping, the no.2 seed and also from China (3-11, 11-9, 11-7, 11-9). Success in the Men’s Singles wheelchair events for one Paralympic Games gold medallist; there were successes for two more. Each competing in the category where they had gained individual success on the biggest stage of all; Jian Riapos in Beijing and London, Cao Ningning in Rio de Janeiro, the top seeded place in Suphan Buri was justified. Jan Riapos secured the Class 2 title beating Korea’s Park Jincheol in the final (11-8, 11-5, 7-11, 11-7), the somewhat surprise winner the previous day in opposition to China’s Gao Yan Ming, the no.2 seed (11-6, 11-5, 11-8). An eventual second place in the group, a semi-final contest against Jan Riapos was the outcome; no charity was spared, the champion elect recorded a straight games success (11-6, 11-6, 11-5). Good from Jan Riapos, it was the same from Cao Ningning; at the final hurdle he ended the hopes of Korea’s Kim Kiyoung, the no.2 seed (11-9, 11-6, 11-2). Notable performances, the two remaining wheelchair category events, it was success for Korea. Kim Younggun, the top seed, won Class 4 beating the host nation’s Wanchai Chaiwut in the final (10-12, 11-7, 11-8, 11-5), the surprise semi-final winner in opposition to China’s Guo Xingyuan, the no.2 seed (13-11, 12-10, 11-8). 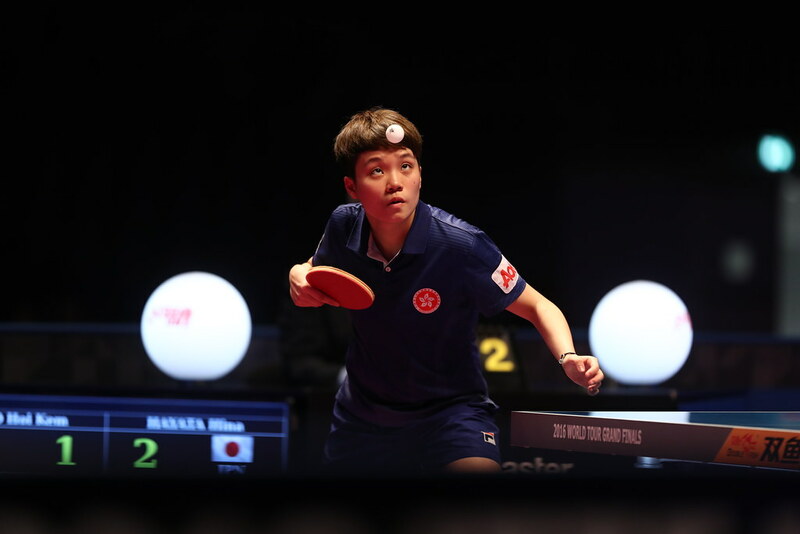 Meanwhile, in Class 1 it was the top three places for Korea with Joo Youngdae, the silver medallist at the Rio 2016 Paralympic Games and the top seed in Suphan Buri having to settle for runners up spot. Second seed, Nam Kiwon finished at the top of the order ahead of Joo Youndae; Kim Hyeonuk concluded matters in third place.